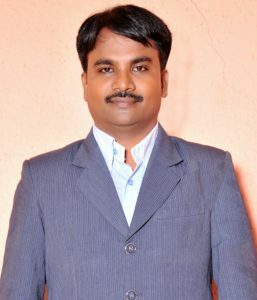 Dr. Ravi Kumar Pyla is an Assistant Professor in the department of English, Dr. B R Ambedkar University, Srikakulam, Andhra Pradesh. He has versatile personality. His articles published in various international journals. He has also authored SKILL PRO-I Communication and Soft Skills (Maruthi Publications) prescribed as the foundation Course – 4 (Sem-II) (Prescribed for all Degree Branches for all universities of Andhra Pradesh). He also organized and participated in different sports events like Cricket, Volley Ball, Basket Ball, Shuttle & TT (singles & doubles) in Inter-Collegiate Games and Sports at AU, Visakhapatnam, and also received prizes and appreciation. He also actively participated in many charity programmes, NCC –B certificate holder and NSS volunteer and organized events including regular get-togethers and special occasions. He has served as Squad/Route Officer for degree examinations conducted by university and a Member in the Board of Studies, Dept. of English, Dr. BRAU, SKLM. He is also a life time member of FSLE-India and further has been appointed as its Coordinator for Andhra Pradesh Region.